Legislation set to be introduced by Delaware House Majority Leader Rep. Valerie Longhurst (D), aims to close what many describe as a loophole in the state’s gun law. 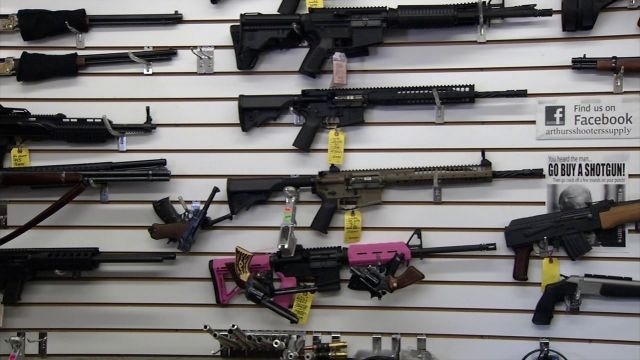 As it stands now anyone who wants to buy a gun must go through a federal background check, but if the federal government takes more than three days to get back, firearm sellers in Delaware are allowed to proceed with the transaction. The bill, still being framed, would change that stipulation, but it’s unclear at this point how. This alleged loophole was brought to national attention after nine people were murdered in a mass shooting at a South Carolina church, the suspected gunman bought the gun legally through a delayed transaction. “The loophole really just puts the guns in the hands of dangerous people who shouldn’t have guns, poeple who may be already prohibited from having a guns can walk right through that loophole,” said Jeffrey Lott, communications director for the Delaware Coalition Against Gun Violence. Monday, former Arizona representative Gabby Giffords and her husband, former astronaut Mark Kelly, announced the formation of the Delaware Coalition for Common Sense.A top priority of theirs will be supporting this legislation. Giffords was the victim of an assasination attempt in Tuscon in 2011.